Calm down, I know what you're thinking - your favourite brunch spot is in New Jersey?! I think I may have just lost a reader or two there. What's better than brunch? Brunch al fresco of course. What's better than brunch al fresco? 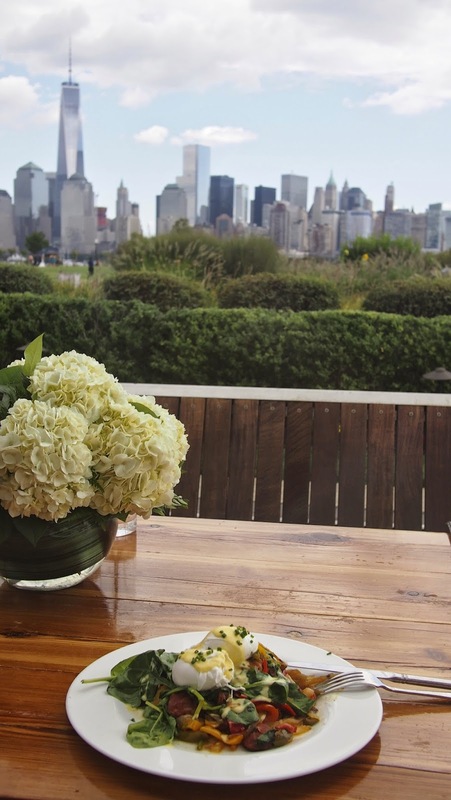 Taking down those eggs while overlooking the Manhattan skyline. What's better than that? Brunch served with a side of live jazz. So there you go - your plan this weekend? Brunch at Liberty House. Oh and did I mention they have life sized chess pieces that you can play with (and obnoxiously pretend to blend in with)? When to go: A warm, sunny weekend!